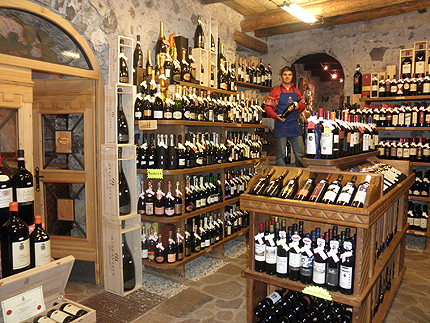 The best wines of Trentino and South-Tyrol, carefully selected among first-quality local producers. Excellent choice of national and international labels. 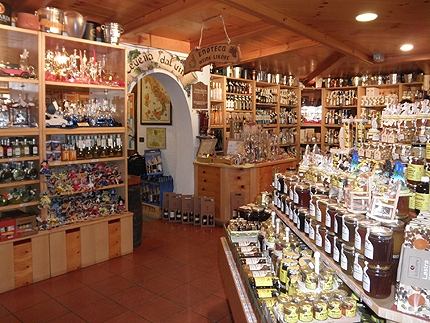 A collection of bottled wines to taste with snacks. 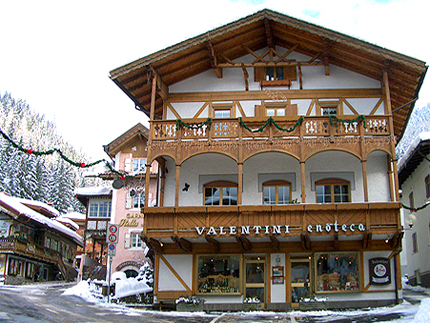 Grappa, speck, pasta, dried mushrooms, jams, honey, ham and salami, cheese, olive oil, chocolate, biscuits, bonbons and other local products that you can take home as a souvenir from Val di Fassa.